Enjoy a wilderness experience with the comforts of home. 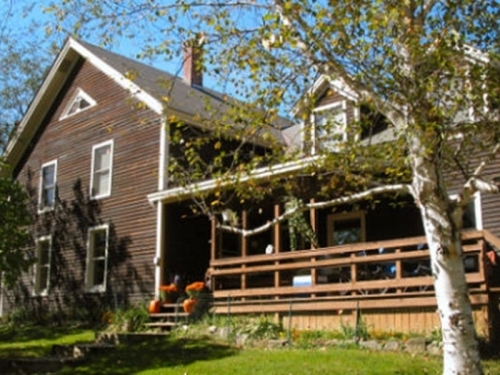 Relax in a warm, spacious, Civil War era farmhouse on 200 acres powered by solar energy. Hiking, camping, canoeing, mountain biking, cross-country skiing, snowshoeing and swimming are minutes away. A hearty breakfast is served with personal attention by your hosts. Address: 989 Stoney Lonesome Rd. Member Inns ~ B&Bs	.